Sabri Tuluğ Tırpan was born in Istanbul in 1970. In his early years, Tırpan took private music lessons in piano, jazz improvisation, jazz harmony and music theory. 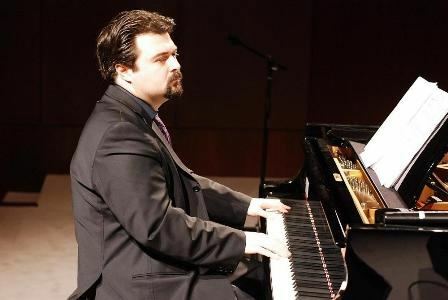 In 1989-1992, he studied piano with Martin Berkofsky and Namık Sltanov, and harmony and counterpoint with Sami Hatipoğlu at Bilkent University, the Faculty of Music and Stage Arts. 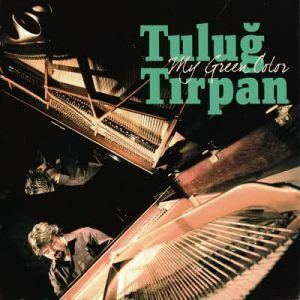 In 1992, Tırpan transferred to the Vienna Conservatory and continued to study piano with Gerhard Geretschlaeger. He also studied composition and music theory with Ivan Erod, and chamber music with Avadis Kuyumciyan at Vienna Music Academy. While he was studying in Vienna, Tırpan had the chance to work with great artists such as composer Jorge Sanchez-Chiong, tenor saxophonist Nicholas Simion, violinist Patricia Kopatchinskaja, violinist Tomo Keller, violinist Daniel Pergamenschikow and soprano Kristiane Kaiser. In 1998, Tırpan recorded Mozart Piano Concerto No. 21 in C major, K. 467 Elvira Madigan with The Vidin Philharmonic Orchestra, which was conducted by Nayden Todorov. It was released throughout the world on the MMO label. He has performed in many solo and chamber music concerts and given many concert tours in many countries such as Slovakia, France, Greece, Bulgaria, Italy, Poland, and Switzerland. In the meantime, Tırpan received an invitation from drummer Fernando Paiva to join in the project focused on Brazilian music, which had a significant impact in his musical development. After a year, the project released its debut album “Santos de Casa”, which was chosen as the CD of the month by Jazz Magazine in Vienna. Tırpan has participated in many festivals such as Mingus Festival in Vienna, Yehudi Menuhin Live Music in Vienna, Jeunesse Bach 2000 in Vienna, Miles Davis Jazz Festival in Poland and Cemal Reşit Rey Piano Festival. In 2002, Tırpan was inspired by George Orwell’s book (1984) and in cooperation with PASV, he composed his critically acclaimed first musical “Hearts”, which was highly praised by the Musical Cocktail magazine as the best music composed in German-speaking countries in recent years. In 2003, he arranged Borodin′s “In the Steppes of Central Asia” for two pianos and composed “A Phantasy on Mozart′s Alla Turca” for world renowned piano duo Ferhan and Ferzan Onder, both of which were included in their latest album “1001 Nights”, which was released by EMI Records. Tırpan was commissioned to compose a Messe, which he delivered for orchestra, choir, soloists and jazz band. In the summer of 2004, his second Musical Theater production “Figaro” in Jazz style, based on Mozart’s Opera “Figaro’s Wedding” was staged with great success in Klagenfurt ORF Theater during the Klagenfurt Scherzo Summer Festival. It was described by critics as having great depth and fine taste. In 2005, his first solo CD “My Red Color” was released in Europe by Fishtank and appraised as the best works of the year in Austria. In 2007, Tırpan composed “Mevlana-Simyaci Symphonic Poem” on the occasion of the anniversary of Mevlana Year and it was performed not only in Istanbul but also Bursa, Izmir, Antalya and Vienna. In the same year, within the context of “Painted on Water” project, he performed with Dave Weckl, Trilok Gurtu, Al di Meola, Kai Eckhard, Mike Stern and Alan Pasqua. Tırpan also performed with Sertab Erener and Fahir Atakoğlu in the Carnegie Hall and Kodak Theatre. Tırpan has composed for various films such as “Böse Zellen” (2003), “Hotel” (2004) and “Crash Test Dummies” (2004). As of today, he serves as a tutor at Vienna Mahler Conservatory and Performing Arts Studios of Vienna.